Ludwell Paradise Garden 2015 | Green Spring Garden Club, Inc. 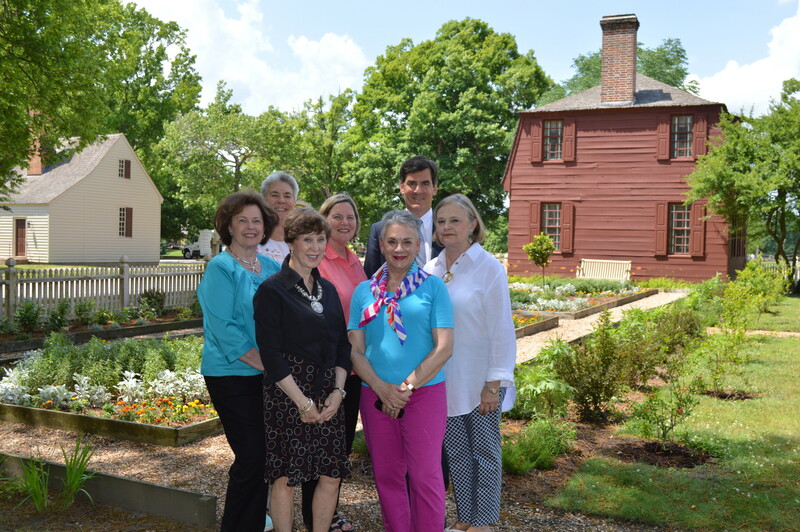 In the Lightfoot Tenement Garden members of the Green Spring Garden Club presented a check to Mitchell B. Reiss, President and CEO, Colonial Williamsburg Foundation. CW’s Landscape Supervisor and Landscape Service Manager were also present. Work has begun this year at the Prentis House Garden. The Club’s continued support of these gardens is made possible through proceeds from the Annual Christmas Homes Tour.